This workshop is open to both unfamiliar & seasoned participants, offering a “way” to experience a series of steady still (restorative) poses & rhythmic flowing (vinyasa) postures for practicing yoga in union with a partner. In addition, we will engage our partners in the art of giving & receiving mindful bodywork in order to harmonize and reach a universal interaction. Partners will take turns being guided through a series of techniques based on the traditions of Thai Massage. The art of practicing playfully together & in a respectful way on one another helps to bring balance to the physical, spiritual & mental energy systems of the body. Ultimately, it’s an opportunity to have fun with a dear friend or loved one. This workshop is open to all and all are welcome – just bring a friend and plan to have a great time! 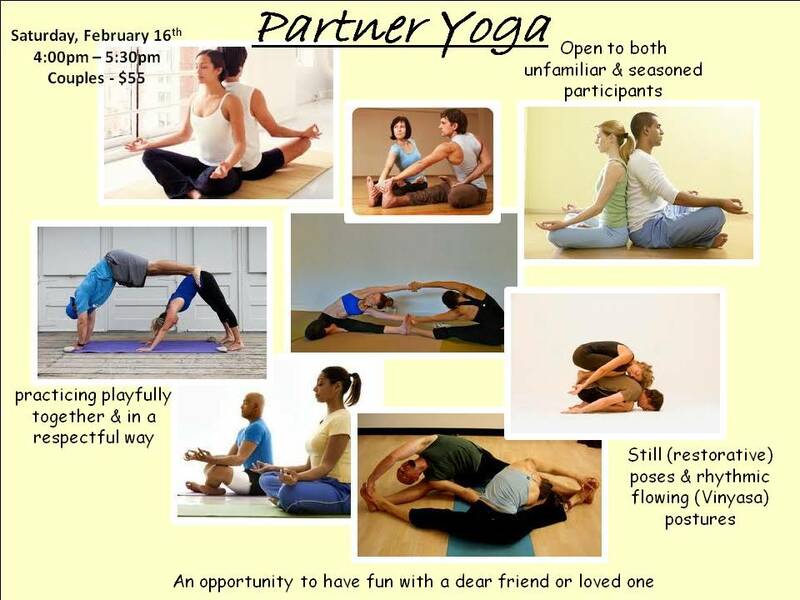 As an added bonus, combine an opportunity to take a super photo of you and your yoga buddy. Become Yoga and Owen Biddle Photo School are tag-teaming to offer an amazing deal where in one package you get your 90 minute yoga practice followed by an opportunity to receive coaching on techniques for self-portraiture, lighting, posing and backgrounds from Owen Biddle Photo School. to register click this link! ← RADIANT LOTUS WOMENS QI-GONG Spring Class Series begins 2/21!